TASTY PUFF, LLC (SELLER) HEREBY EXCLUDES ANY AND ALL WARRANTIES, GUARANTEES, OR REPRESENTATIVES WHATSOEVER, EXPRESS OR IMPLIED, AND EXPRESSLY EXCLUDES ANY PURPOSE, except that seller assures Buyer, that these goods have been produced by Seller in compliance with the applicable requirement of the Fair Labor Standards Acts of 1938, as amended, and of the regulations issued there under. BUYER ASSUMES RISK FOR RESULTS OR OBTAINED FROM USE OF THESE GOODS WHETHER USED ALONE OR IN COMBINATION WITH OTHER PRODUCTS. SELLER’S LIABILITY HEREUNDER SHALL BE LIMITED TO EITHER REPLACEMENT OF ANY GOODS WHICH ARE NOT OF SELLER’S STANDARD QUALITY, WHERE FEASIBLE, OR THE REFUND OF THE PURCHASE PRICE AND SUCH REPLACEMENT OF REFUND SHALL BE BUYER’S EXCLUSIVE REMEDY. Seller will not be liable for any consequential damages, losses or expenses arising in connection with the use of or the inability to use its goods for any purpose whatsoever. Seller’s maximum liability shall not in any case be more than the contract price for the goods claimed to be defective or unsuitable. While Seller may from time to time offer recommendations or advice with respect to the use of its products, it is understood that Buyer, in acting on any such recommendations or advice, does so entirely at its own risk. Seller shall not be responsible for any failure or delay in delivery of good(s) because of any cause beyond Seller’s control. If the financial responsibility of the Buyer becomes unsatisfactory to Seller, Seller may, by written notice, cancel this order in whole or in part. No claims for replacement will be considered unless Buyer notifies Seller therefore within ten (10) days from receipt of goods. Failure of Buyer to give such notice within such period shall constitute an unqualified acceptance of these good pursuant hereto. Any such action by Buyer for breach of contract with respect to this purchase and sale must be commenced within one year after such cause of action has accrued. In the event that the product is non-conforming or defective for reasons beyond Seller’s control such as (but limited to) poor storage conditions, poor shipping conditions or the like, Buyer’s claim will be limited to the shipper and no claim for refund, replacement, or damages will be brought against Seller. Payment will be made directly to Seller. All of the terms of this purchase and sale are set forth in this instrument and may not be changed except by an instrument in writing executed by a duly authorized officer of the Seller. This agreement shall be construed under the laws of NM. THE GOODS COVERED BY THIS INVOICE ARE SOLD EXPRESSLY ON THE CONDITION OF BUYER’S ASSENT THAT THESE TERMS OF SALE, INCLUDING THE EXCLUSION OF WARRENTIES, GOVERN THIS PURCHASE AND SALE, BUYER’S FAILURE TO OBJECT TO THESE TERMS OF SALE WITH FIVE (5) DAYS AFTER THE DATE OF SELLER’S ACKNOWLEDGMENT OF TERMS OF SALE (if such an acknowledgement was made to this order), OR BUYER’S TAKING DELIVERY OF ANY GOODS SUPPLIED HEREUNDER, WHICHEVER IS SOONER, SHALL CONSTITUTE SUCH ASSENT. Buyer will, at it’s own cost and expense, indemnify and hold Seller harmless Tasty Puff LLC, officers, directors, agents, representatives, employees, and customers from and against all claims, expenses (including, without limitation, attorney’s fees and costs) losses, costs, damages, liabilities and suits arising from or in connection with any alleged defect in the Goods or Services, or alleged breach of any representation or warranty or other provision of a Sale or any alleged acts or omissions of Buyer or its subsidiaries, officers, directors, agents, representatives, employees or subcontractors. 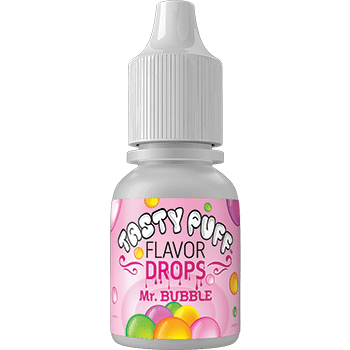 The terms and conditions shall be binding upon all Sales unless changed in writing and signed by an authorized representative of Tasty Puff, LLC. 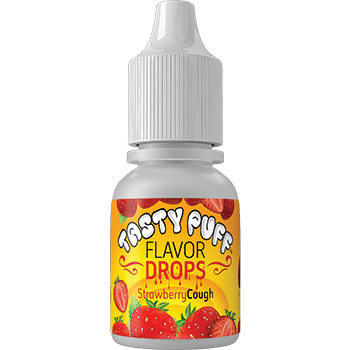 Tasty Puff is intended for use with Pipe Tobacco, Cigars, Cigar Wraps, Favorite Legal Herbs, Water Pipe Water, Hookahs, Vaporizers, and E-Cigarettes. Tasty Puff is not to be used with, or for the manufacture, of anything illegal. A signed credit card authorization must be completed and returned before any orders will ship. All sales are final on Tasty Puff bulk orders. We do not accept returns or offer refunds nor offer exchanges.